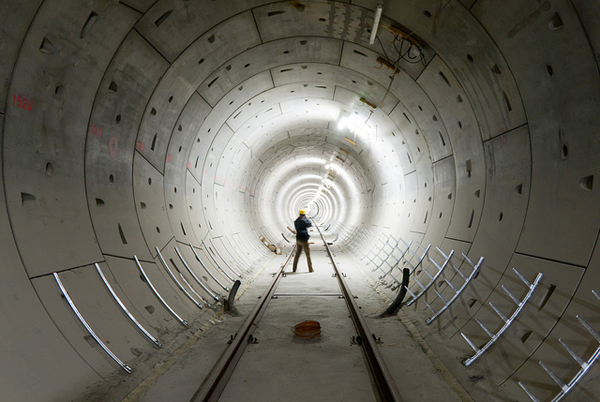 Very cool shot of a new — and controversial — fourth subway line under construction in Budapest, Hungary. Here’s the Budapest Metro’s official website, which says that as of January construction was about 65 percent complete on the first section of the planned 12.7-kilometer line. It’s been an on-and-off project since 1998 due to…guess…financial concerns. The photo was taken with a Sony DSLR A200 with a 3.2 second shutter speed, f/5.0 aperture, 18 mm focal length and 400 ISO.